I had a great day today. 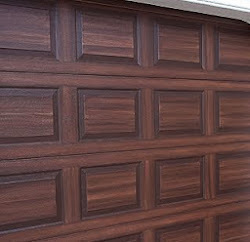 Very productive day painting a garage door to look like wood. 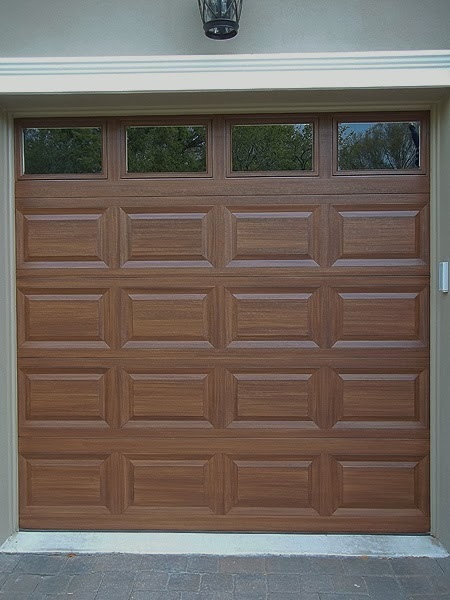 This is a photograph of a single car garage door that is 5 rows high. 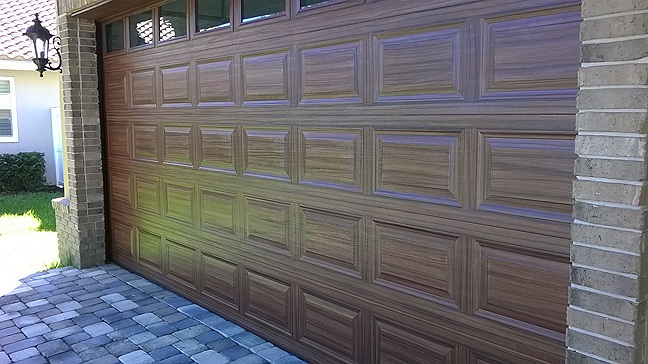 I was able to create the wood grain effect on the entire door today. Of course the door had been previously primed and base coat painted. I have another one just like this to start on tomorrow. I am going to be surprised if I can get as much done tomorrow as today. Typically it takes longer than one day to create a wood effect on an entire door but everything went prefectly today.